Local SEO (Search Engine Optimisation) refers to techniques used to help your website rank higher on Google, for local product and service searches. 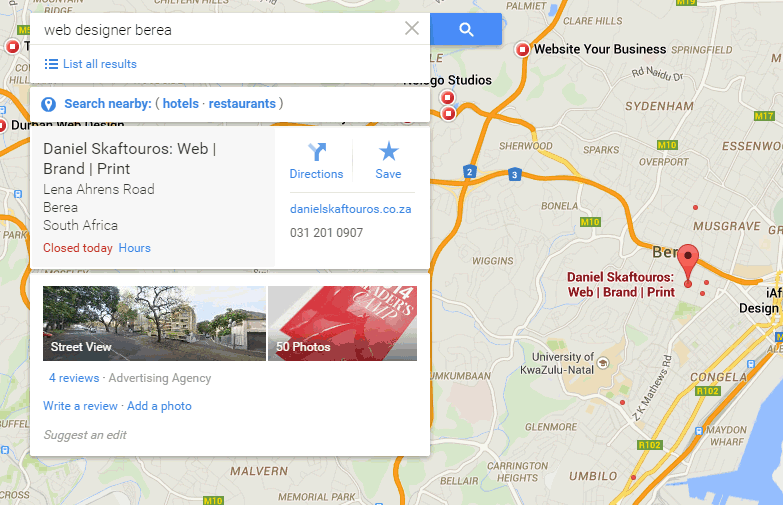 It’s SEO for businesses that provide a product or service in a specific suburb, city or even province. 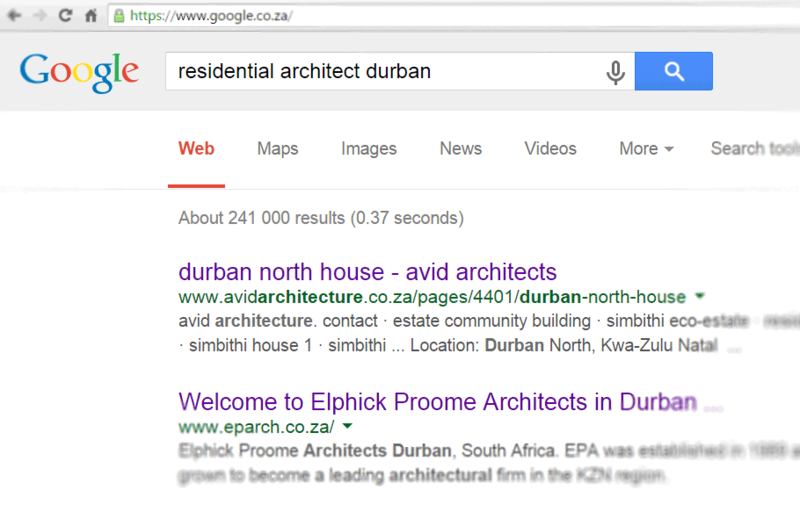 For example; If I type “Residential Architect Durban” into Google search, the highest ranked Residential Architects on the first page of Google search results will be those with the best SEO in Durban. This is incredible news if you’re a small or local business. Google has now made it easier for your website to be found by local customers, even though you may be a smaller company with a smaller web presence than larger competitors. But you still have to compete with local competition. And that’s what this post is all about. How does SEO work to rank a website higher? Google looks at a large combination of factors to determine which website or even webpage is the most relevant to your search term. The search term, for example; “Residential Architect” is referred to as a search query or keyword. 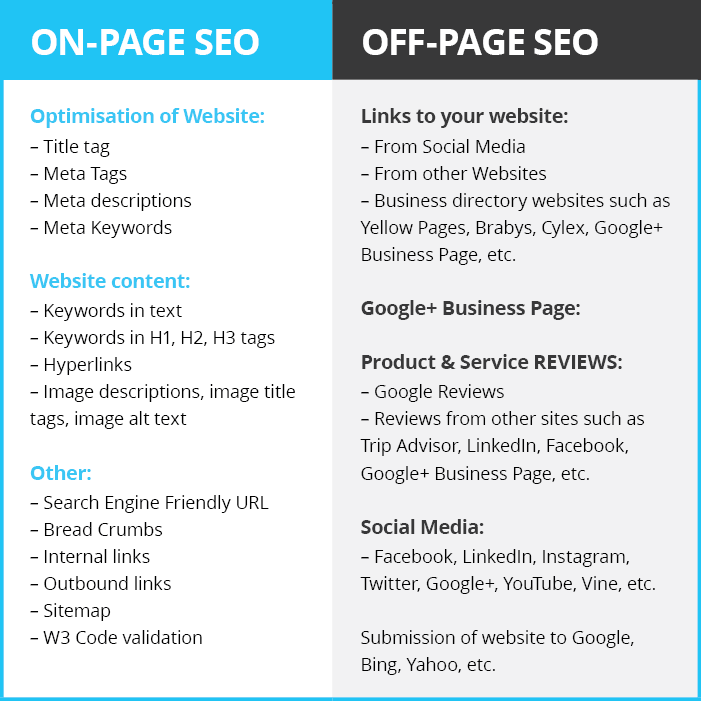 The combo of factors Google looks at are broken down into 2 main categories; “On-page” SEO and “Off-page” SEO. List your business on all relevant business directory websites such as: Brabys, Cylex, Gumtree, Google+ Business Page, Yellow Pages (Not free), Trip Advisor, SafariNow, BizCommunity, NSBC, iGlobal, Unashamedly Ethical among other industry specific directories. 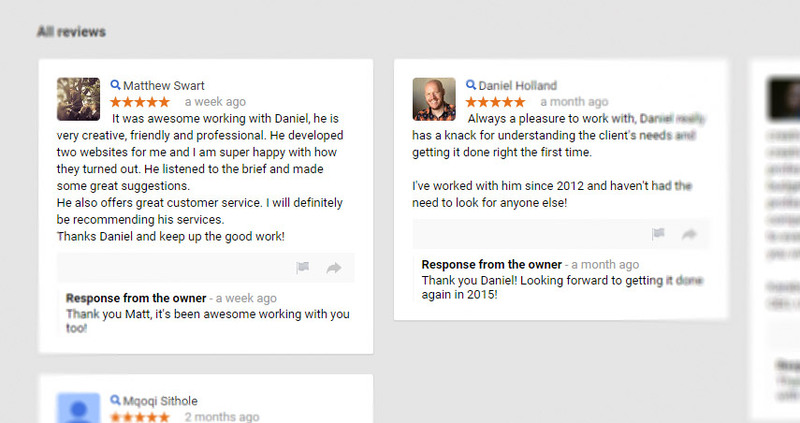 Make Sure your key business information appears exactly the same across the internet. This includes the directory listings stated above, social media profiles and your website. 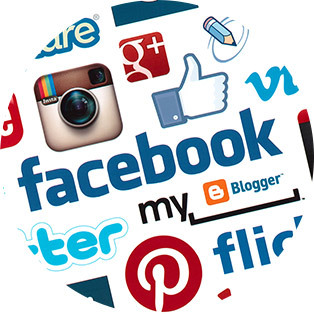 Setup social media profiles for your business on all relevant platforms. It’s important that you are active on these platforms and try to post & share content that adds value to your customers lives or businesses. A quick tip for effective social media engagement is too use images when you post or tweet. They are vastly more effective. A Google+ Business Page is similar to having a Facebook business page, but has a greater impact in terms of local SEO because creating this profile literally places a pin of your business on Google Maps with key business info and a link to your website. 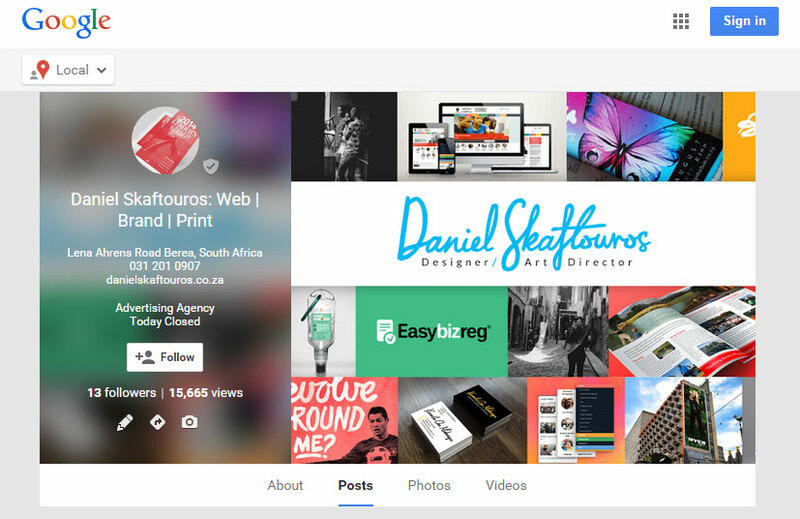 For more info on Google+ Business Pages and how to create one, click here. People are searching Google for your product or service, the question is; are they finding you or your competitors? A bit of time invested in Local SEO could really help your business reach more customers online. The tips posted in this blog post are free to do and fairly easy to manage, but they can take some time so please contact me if you’d like some help developing your Local SEO. Another major component of Local SEO is your website. Creating a website that is Search Engine Friendly requires particular expertise. I’m a designer and creative thinker who lives and breathes all things web and branding. My greatest joys are my family and helping others achieve their dreams.